Pour the water and milk into a pan with the sugar and heat over a low heat until warm. Add the yeast and stir until dissolved. 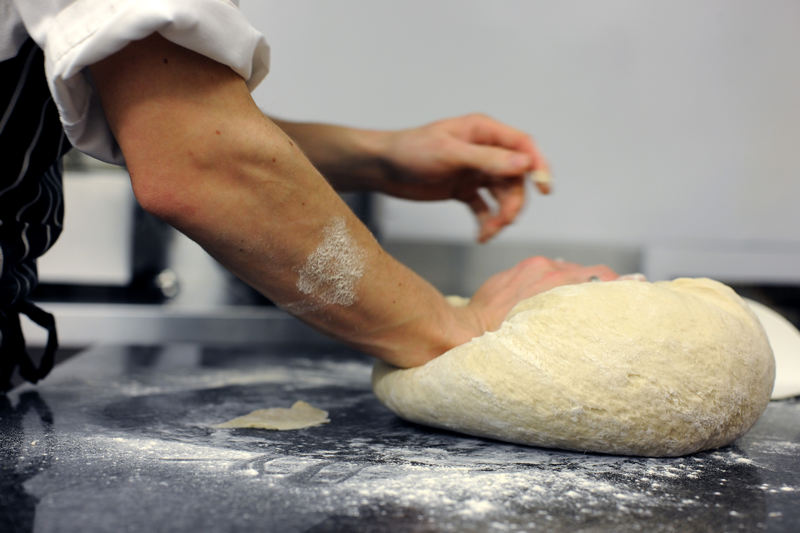 Turn the dough out onto a lightly floured surface and knead for 5 minutes. Return the dough to a floured mixing bowl, cover with a clean tea towel and leave in a warm place to prove for 40 minutes (or at room temperature for 1 hour) until doubled in size. Line a baking sheet with parchment paper. Knock back the dough and form into a large rectangular shape around 5cm thick. Place the loaf on the lined baking sheet. Cover with a clean towel and leave in a warm place for 40 minutes (or at room temperature for 1 hour) until doubled in size. Preheat the oven to 200°C/400°F/gas mark 6. Using the tips of your fingers, make dents all over the loaf. Pick the leaves off the rosemary sprigs and push into the loaf. Drizzle with the olive oil and sprinkle with the remaining teaspoon of crushed sea salt. Bake for 30–35 minutes until well risen and golden. Turn out and check it is cooked by tapping the base; it should sound hollow. Leave to cool on a wire rack.